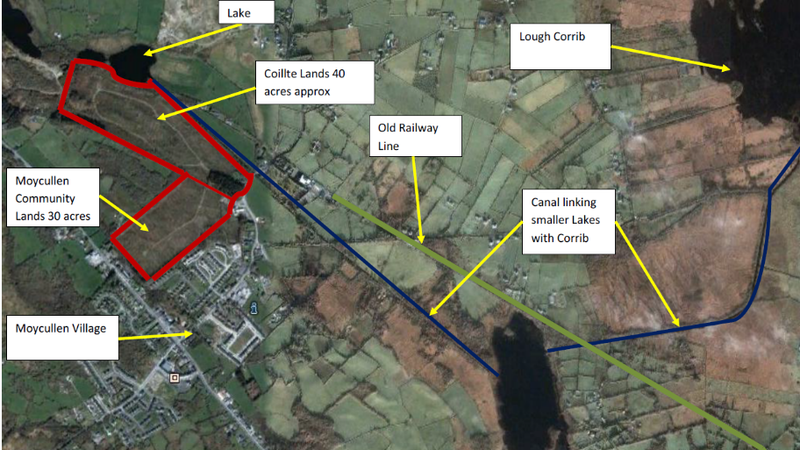 The promoters (Forbairt Pobail Maigh Cuillin Teo) own nearly 30 acres of land in the centre of Maigh Cuillin. Planning permission for a new community centre has been secured in 2013. A detailed demand feasibility study was undertaken in 2008 to establish demand for the community centre, which concluded that there is a viable demand. The build of the community centre including a sporting hall has been estimated by Noel J. Farrell & Associates to total to €3.25M in April 2018 (including VAT).